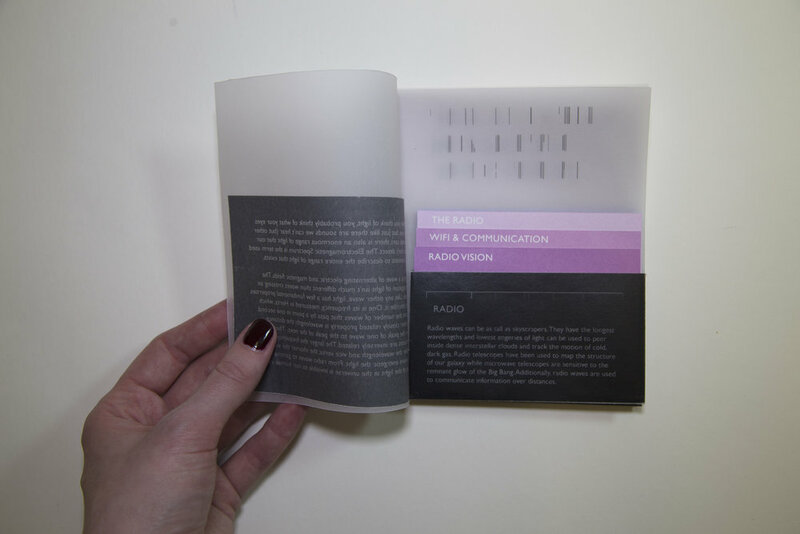 A type-based, interactive book concept for engaging younger students in learning about the electromagnetic spectrum. 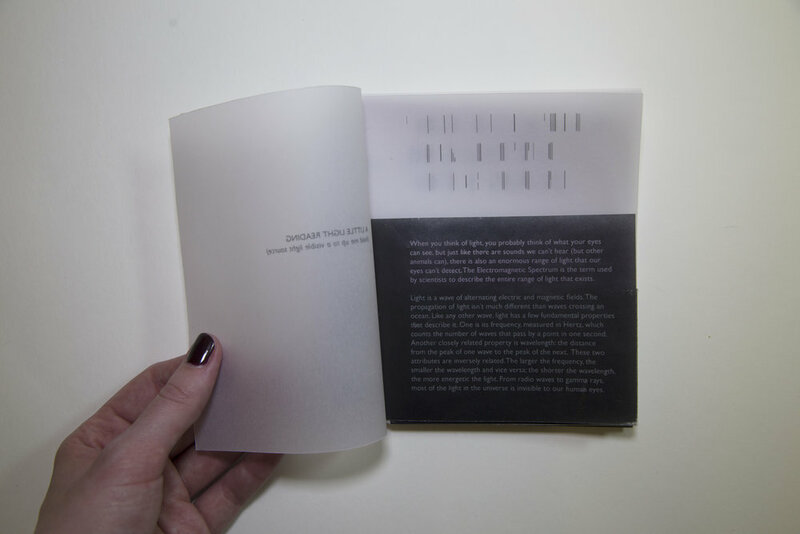 The top of each page contains a seemingly abstract arrangement of lines, corresponding to the length of the waves in that portion of the EM spectrum. 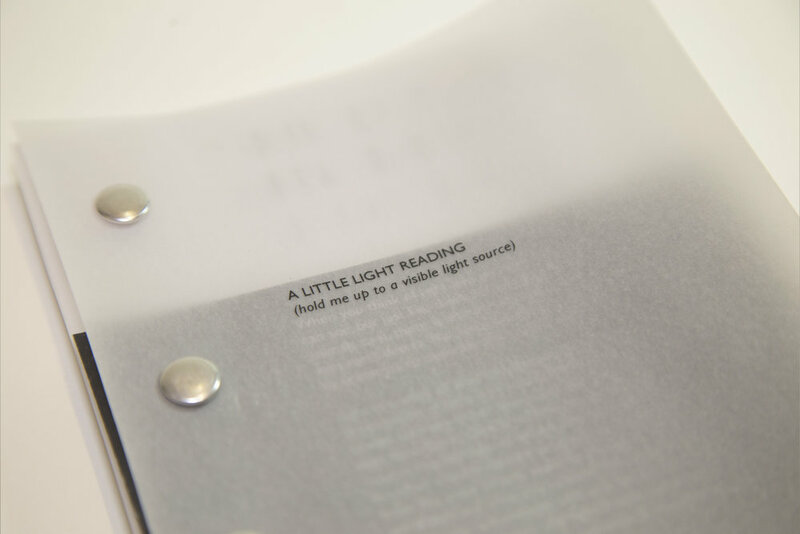 Together, when held to visible light, they form the book's title. 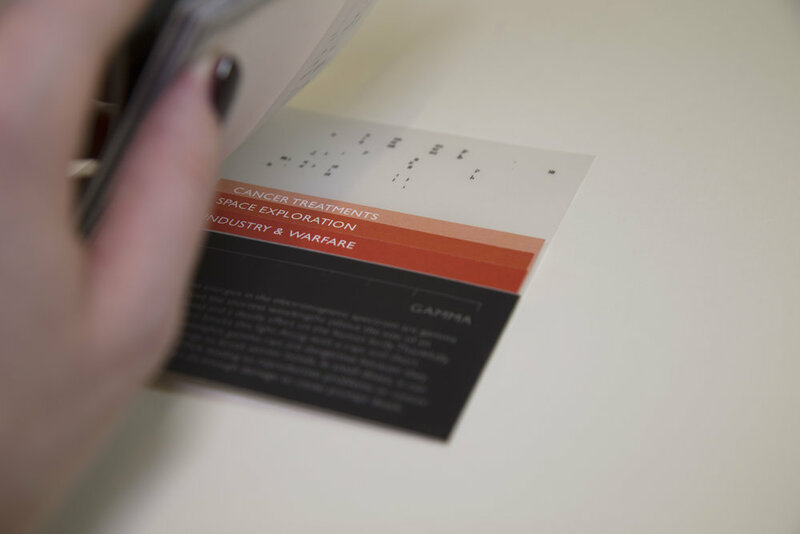 Removable cards contain facts about practical application.